With close to 900 entries in 2018, the popular treasure hunt returns to the Great Lake Walkway in 2019, and will this year expand onto Turangi’s Tongariro River Trail to encourage families to explore more of the region by bike. Turangi’s inaugural Blue Duck Treasure Trail, which will run along the Tongariro River Trail, is proud to raise awareness around the highly endangered native Whio, or Blue Duck, that can be found on the Tongariro River. Both treasure trails are running throughout the two-week duration of the April school holidays in conjunction with the Taupō Monster Bike Sale. These free local activations are the collective initiative of Destination Great Lake Taupō (DGLT), Towncentre Taupō and Turangi Tourism Operators Group as part of a drive to promote cycling in the region. “Taupō is a fantastic place to explore the outdoors with some of the best biking trails in New Zealand. Taupō’s pumice-rich, free-draining soils mean excellent conditions year-round, and there are trails to suit every kind of explorer” says DGLT Marketing & Communications Manager, Anna McLaren. 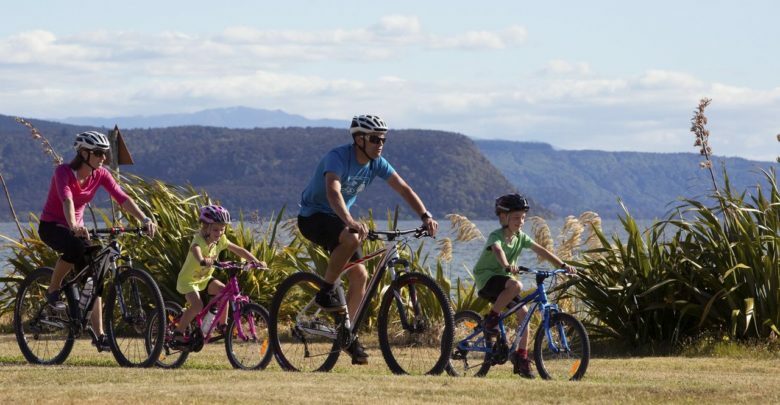 “Taupō is home to many family friendly biking trails and these treasure hunts are a great way for families to get out and about and have a fun experience whilst exploring the region. 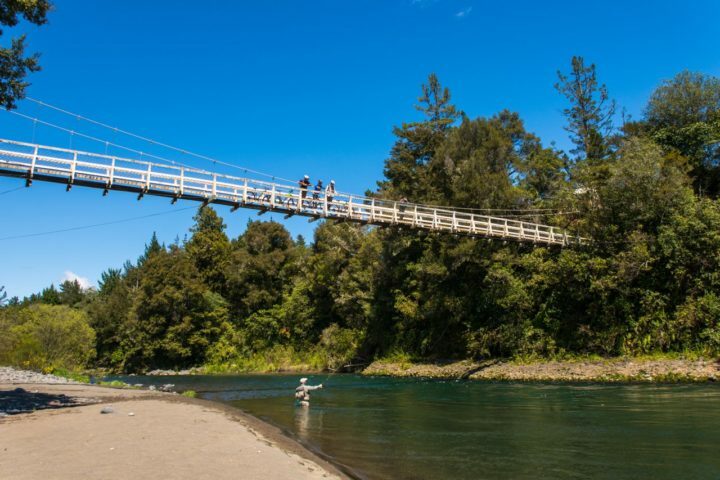 The Great Lake Walkway and Tongariro River Trail are excellent rides for every age and ability and a great introduction to family trails around Taupō”, says Anna. Towncentre Taupō General Manager, Julie McLeod: “Last year’s event was a huge success with the town buzzing with happy families on bikes exploring the Great Lake Walkway and CBD. We ran out of entry forms on the first weekend, so we are expecting a great turn out again these school holidays and can’t wait to see those smiling faces again this year”. Children will be able to pick up a treasure hunt map from bike shops and participating retailers around Taupō CBD and Turangi, and both the Taupō and Turangi i-SITES. Find the clues, decipher the code and return the completed entry form to a participating business for your chance to win. 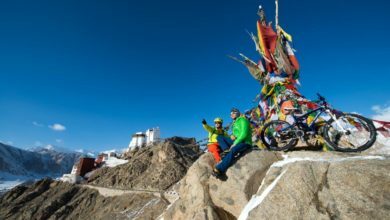 There are some fantastic prizes up for grabs this year including children’s bicycles, family rafting trips and a night’s accommodation. Various retailers will also be handing out spot prizes upon return of the entry form.